BALLERUP, DENMARK – The GN Store Nord released its second quarter (Q2) results for 2018, reporting strong double digit organic revenue grown and margin increase. The results exceeded analyst expectations, particularly for the company’s Audio division, which has been performing particularly well. According to the report, GN Audio’s organic growth guidance for 2018 was upgraded to 16-19%, which is up from previous guidance of “up to 15%” following the strong performance in Q2 2018. The financial guidance for GN Hearing remains unchanged. 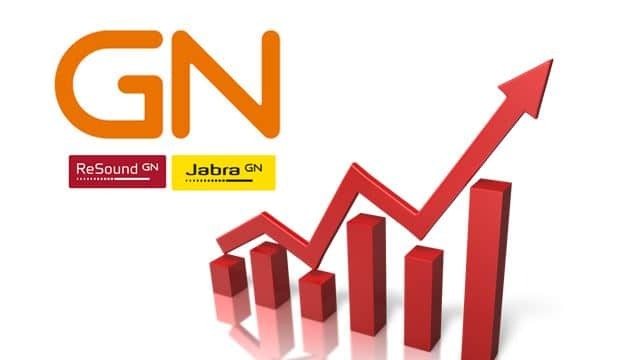 Following the increase in company sales and profit forecast for 2018, GN’s shares rose 4 percent in early morning trading. The company’s stock has gained 57 percent so far this year.